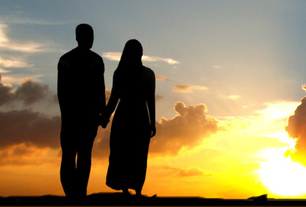 A single Muslim looking for a good partner for marriage is on a rough road full of obstacles. If you’re looking for someone pious, the problem is that religious Muslims generally do not mix with the other gender, so where is the opportunity to meet someone? First of all, let’s stop marrying our cousins. Yes, it is allowed in Islam and I can see how in exceptional circumstances it might be necessary. For example if one comes from a very small village with few choices. First cousin marriages, however, have a statistically higher chance of resulting in children with serious birth defects. Beyond that, I’ve noticed that cultures that consistently interbreed tend to be narrow minded and tribal. They are closed off to new ways of thinking and doing things, closed off to different cultures, and suspicious of outsiders in general, even when those “outsiders” are Muslims. We need to open our eyes and look beyond our own families for marriage partners. We must build bonds among the Ummah, bring in fresh blood and share our unique cultural traditions. Secondly, in Islam we do not date, by which I mean we do not engage in the practice of spending personal time with a variety of people of the opposite gender until we find someone compatible. This practice inevitably leads to zinaa (fornication), which of course is prohibited in Islam. It also sets women up to be taken advantage of by men, because often the women are looking for a serious relationship that leads to marriage, whereas the men are looking for sexual pleasure and are willing to play along and say whatever is necessary to get it. At that point the man abandons the woman and leaves her broken and confused. No, Western style dating is definitely not the way. So how then does one meet a good person outside the small circle of family and relatives? This first point may not work for the kinds of closed-in families that tend to marry cousins, because their circle of friends can be very limited. However, for anyone else this can be a major network. For many of us, we grew up knowing the children of our parents’ friends. We played with them, and saw them at dinners, weddings and other events. If there’s someone you’re interested in within this circle, just ask your parents to speak to their parents. Who knows, they might be interested as well, and you will have found a good match with someone who already has ties to your family. Also consider looking outside your own community and culture. Muslims in the West tend to congregate by community – Egyptians with Egyptians, Iraqis with Iraqis, etc. But many go beyond that, getting to know Muslims of other backgrounds and races. If your family is open minded, then discuss your wishes with them. In my own city I know one Egyptian family whose son married the daughter of some Iraqi family friends; another son married an Afghani girl, again family friends. I have a white American convert friend who is happily married to a Pakistani sister, and I know a Hispanic brother who is married to a Pakistani. I also know of two white + African American couples. And that’s just in the limited circle of people I know. It’s becoming more and more common.